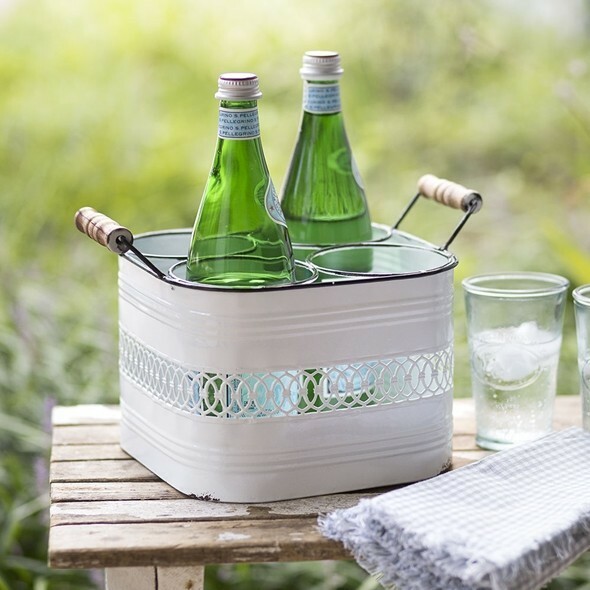 Dimensions: 7 1/2" x 11 3/4" x 8 3/4"
This beautiful white-painted metal bottle caddy features a repeating punched-out aegis motif at center and sturdy wood handles. Divided to hold up to four 1-liter bottles. But why stop there? Art supplies or dried flowers could have a home in this container too. PLEASE NOTE: Pictured bottles, water glasses and towels are not included.